We use only ORACAL 631 matte (interior) vinyl. Please note that computer monitors are imperfect beings and are absolutely not created equal. 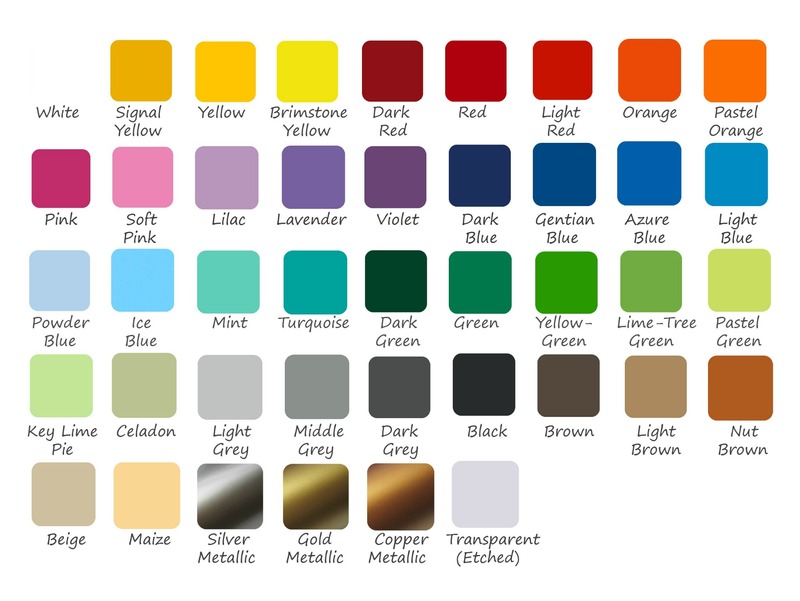 If you are unsure about the color you are ordering we are happy to send you a sample of the vinyl. Up to 3 are FREE! After that they are $.25 each. Contact us for your sample today! Be sure to include your address and the samples you desire on the "message" section.